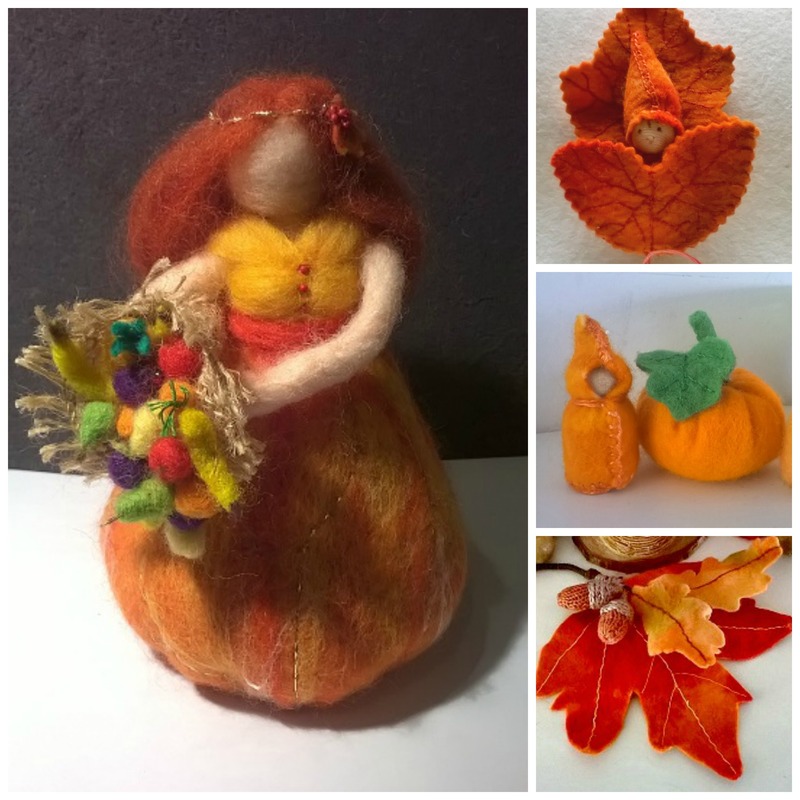 A collage of various projects and treasures to greet the season. The harvest Queen is a recent project that was designed by Dionne Coburn for a parent craft group at Silkwood. The tiny gnome by the pumpkin was made by nine year old Star.